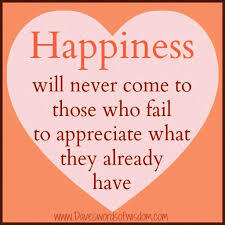 How To Appreciate What You Have | The Life Expert! I want more toys! The newest phone! The best DVD player! The best computer! It’s all what you think and what is going through your head each day. You can convince yourself to believe anything! Your mind controls you, and your every thought! Want to have a good day? Think good thoughts! Want to have a crappy one? Think negative thoughts. Your mind will give you want you ask it for! So make sure you think positive. Cause it’s listening to you! Today a man stopped me and asked me where I bought my Winnie The Pooh jacket. I laughed as did my friend, Kathy. Cause if you know me, you know I am simple. I don’t buy, want or have the latest gadgets or clothes. The jacket I was wearing was given to me for free from a job I worked 16 years ago! It’s old but it still fits, is warm and is attractive enough (ha!) to still receive compliments many years later! 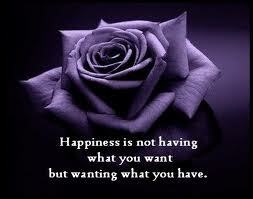 Be Grateful and just Appreciate what you have! Before it’s gone and you remember what you had! Previous articleYou Aren’t That Busy? !